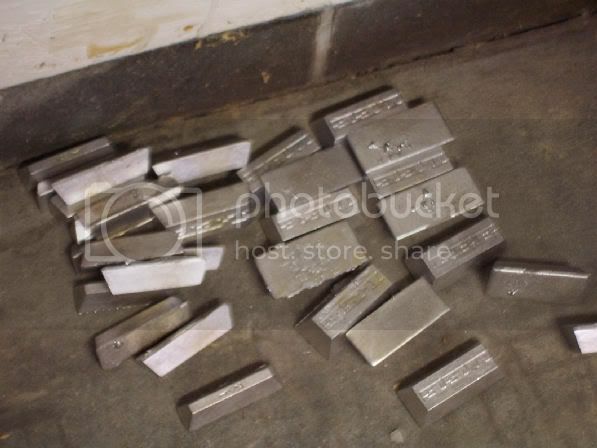 These are the first pictures of casting my first ingots. 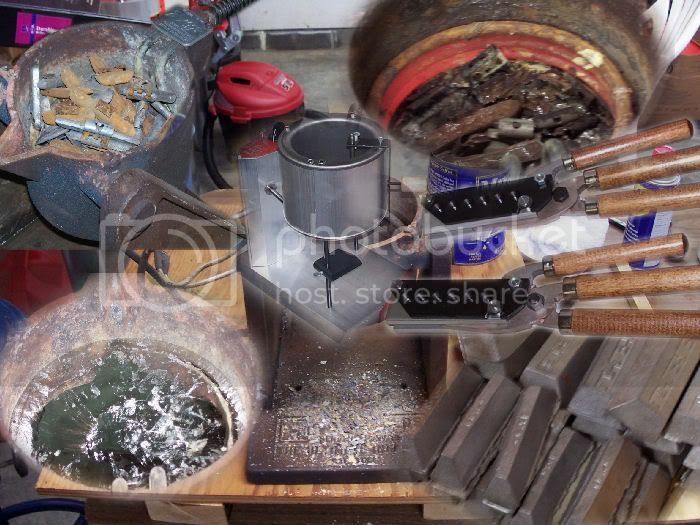 Around eighty lbs of WW and around 50-60 lbs of tin ingots, next it will be in front of a Lee 20lb pot and Lee sixcavity moulds for the 357 and 44Mag. Im getting excited already I cant wait, reloading your own cartridges and then shooting them out of your favorite gun or preferably a levergun is awesome but to be able to cast your own bullets on top of that sure is gonna be quite satisfying to say the least. To melt those wheel weights, flux and skim the dross off the top of the pot only to reveal that shiny silvery molten liquid lead was great. I have a strong feeling I will enjoy making my own cast bullets as much as I like reloading and shooting leverguns as it all just meshes together and goes hand in hand. Another good thing about this venture is I will be spending a lot of good quality time with my dad. He is my shooting, reloading, and now casting buddy. We will be casting our very first batch of bullets today . And I cant wait!